Home Tags Posts tagged with "divorces and breakups 2014"
For some people, love lasts forever. For others, it can last anywhere from a few days to a few years. In Hollywood, relationships are always being scrutinized for being too short. In some cases, they may be, but it is possible that the Hollywood spotlight just makes them appear to be much shorter than they really are. In reality, how many month-long relationships have you had in your lifetime? Chances are you’re not constantly scrutinized about those. But no matter how you personally feel about Hollywood romance, 2014 has been just like every other year and allowed us to witness many famous divorces and breakups. 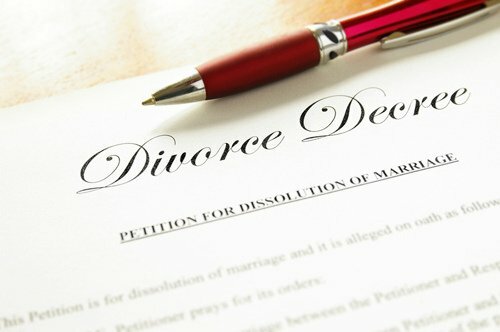 Some were amicable, some breakups required restraining orders, and some tough divorces required family lawyers or other divorce professionals to get involved in very lengthy proceedings. But all in all, most breakups were quite amicable! Check out the following famous divorces and breakups of 2014! Jordin Sparks earned her fame on American Idol, and Jason Derulo is another famous singer topping the charts today. Although the two made beautiful music together for about two years, they split, and rumors have it that the split was amicable. Here’s hoping they can still be friends. Poor Britney. It seems as if no matter how hard she tries, she always ends up with the wrong guy. Since she became famous at the age of 16, she has had her fair share of public relationships—and her fair share of marriages (and divorces). Britney Spears and David Lucado have been dating for one and a half years. This year, though, a video surfaced showing Lucado making out with another woman, and Britney wasn’t having it. She ditched David, is currently single, and according to her Twitter feed, loving every minute of it. Recently, Eliza Dushku, known for her roles in Buffy the Vampire Slayer and Bring it On, has split from five-year boyfriend Rick Fox, former NBA star and current TV actor. Although the couple had been together for five years, they could compromise when it came to where to live. Eliza prefers the East Coast, while Rick wants to stay in L.A. So instead of compromising, they broke up so each could have what they really want. When a Hollywood couple is married longer than two years, it’s a record. When a Hollywood couple is married more than 20 years, it seems as if the marriage will last forever. Unfortunately for Antonio Banderas and Melanie Griffith, the 20-year mark was the end of their romance. The split was amicable, and they have agreed to both be a part of their kids’ lives and still support one another even though no longer married. If only every breakup could be as smooth. The blurred lines singer and his actress wife, Paula Patton, have officially called it quits, although Robin would have it the other way. The pair separated in the summer of 2014 after a photograph of Thicke grabbing a woman’s behind surfaced. Although he made every attempt to get her back—including crying at his concerts and writing an album dedicated to her—Patton officially filed for divorce in October.